Chicago Archbishop Blase Cupich will speak at Boston College’s commencement on May 18, the school announced Thursday. 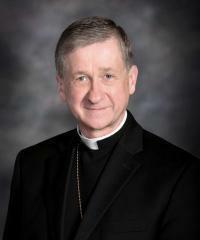 Cupich was tapped to lead the nation’s third-largest diocese last year. During his installation in November, he challenged church leaders not to be fearful of change and to embrace the world. The ceremony will take place at 10 a.m. in Alumni Stadium on the campus, rain or shine.